Homicide detectives have located the vehicle of homicide victim Leonardo Ngo, who died after a knife fight in Surrey earlier this week. 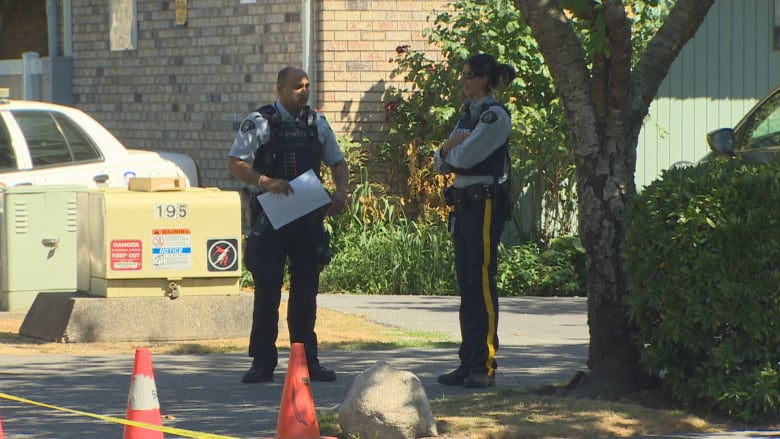 Police have located the vehicle of homicide victim Leonardo Ngo, who died after a knife fight in Surrey earlier this week. Around 2 a.m. on August 10, Burnaby RCMP received a report of a vehicle on fire in the 9000-block of Ashgrove Crescent. Police determined that the burned vehicle was the 2017 black Jeep Cherokee Trailhawk that was being sought by the Integrated Homicide Investigation Team (IHIT). IHIT said Ngo arrived at a hospital Monday afternoon with serious injuries, shortly after another male victim with stab wounds had arrived from a reported stabbing at a townhouse complex near 152 Street and 108 Avenue. Ngo later died in hospital and IHIT said they believe both victims are related to the same incident. Anyone with information is asked to call IHIT or Crime Stoppers if they wish to remain anonymous.